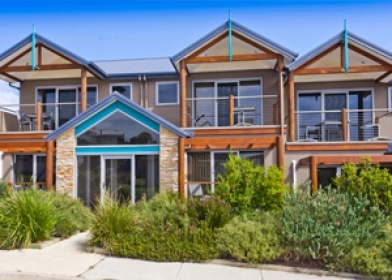 Offering superb self-contained apartment accommodation, Sea Foam Villas are just metres away from the beach in Port Campbell, vibrant heart of the Great Ocean Road and Shipwreck Coast. 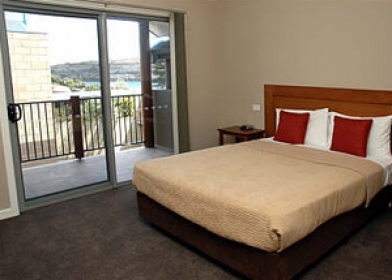 Located in Port Campbell, you're provided with spectacular access to touring the Great Ocean Road, sightseeing the 12 Apostles or surfing Two Mile Bay revered by surfers as one of the best big-wave breaks in Australia. 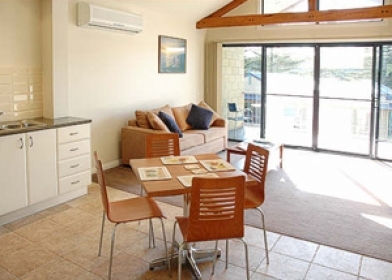 Bright, spacious and airy, all units are fully self-contained with queen-sized beds, quality furnishings and fittings, reverse cycle air-conditioning and heating, washing machines, and Austar cable TV. Thoughtful placement of bedrooms at the rear of units and double-glazed windows provide delightfully quiet and private surroundings. 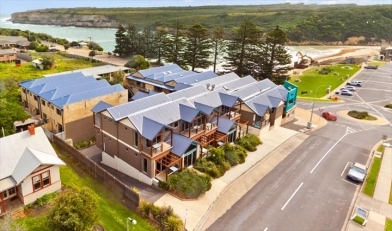 Sea Foam Villas are located right in the heart of Port Campbell, just across Lord Street (the main shopping street) from the beach and the stunning Port Campbell Bay, and metres from shops and cafes. One of the most visited towns on the Shipwreck Coast, Port Campbell is approximately 283 kilometres southwest of Melbourne on the Great Ocean Road and just 10 kilometres from the 12 Apostles. 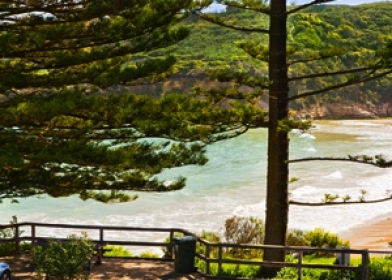 The most scenic route to Port Campbell is along the Great Ocean Road, which follows the coast from Torquay. 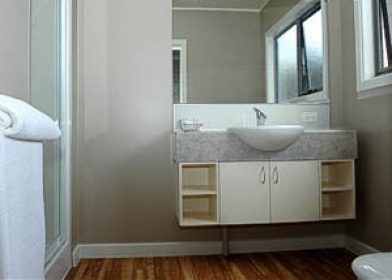 Inland, the Princes Highway has several clearly-marked turnoffs to the coast, providing easy traveling through the farming plains of southwest Victoria or through the forests of the rolling Otway Ranges.